with agreement in place to hire the 4,000 gallon tender belonging to the owner of 2-8-0 No. 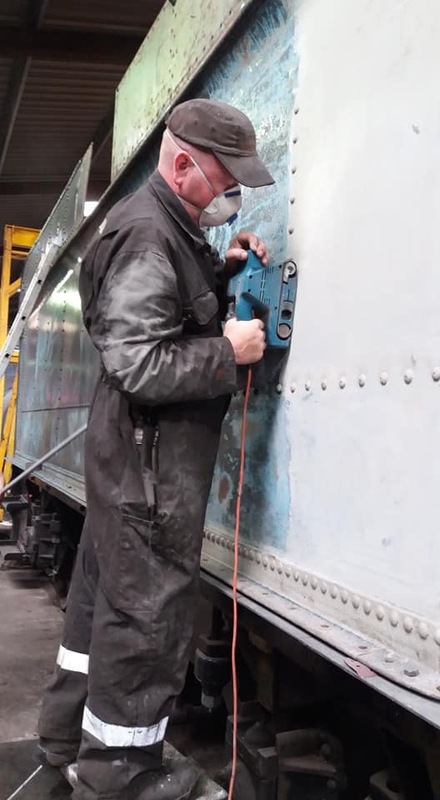 3814, our team started sanding down the metalwork in preparation for painting into BR Western green. When 6880 steams within the next 12 months it will run with a 4000 gallon Collet tender hired from 2-8-0 No. 3814. A deal has been struck with the owner of the tender to use it until such time as 3814 itelf has been overhauled. The tender is currently at Llangollen nearing the end of a restoration and will be available to us later this year. The Board of 6880 Betton Grange (Society) Ltd are pleased to announce that they have been successful in purchasing 5952 Cogan Hall together with a substantial amount of spare parts. This is a strategic decision which will substantially reduce the time and cost of constructing Betton Grange. In the medium term we propose to refurbish the bogie and later tender from Cogan Hall for use with 6880. The cost of a new bogie alone would be in excess of the purchase price for 5952. In addition the time required to refurbish the existing bogie will be substantially less than manufacturing and assembling from new. 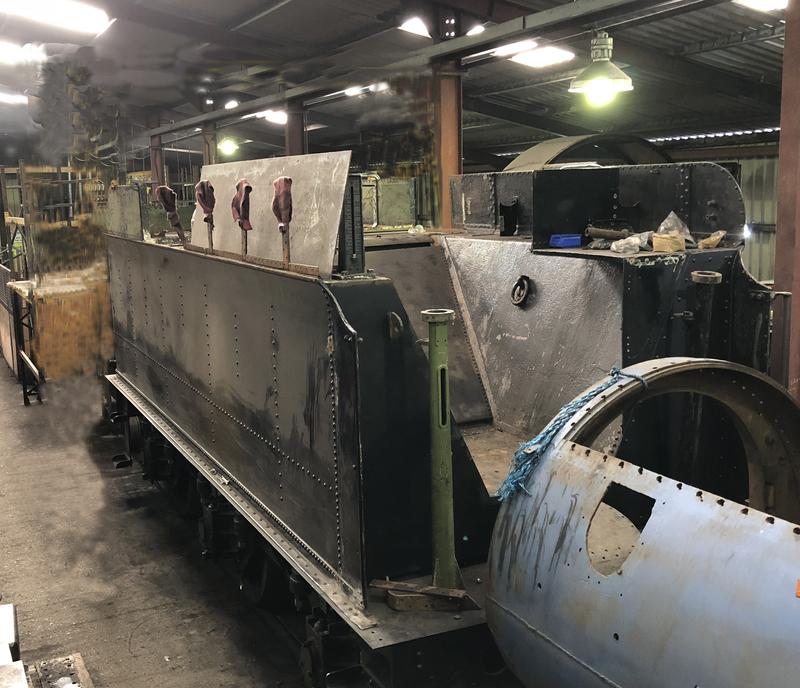 Refurbishing the existing bogie will also assist in providing information and experience necessary to construct a new bogie for Cogan Hall in the longer term. We must stress that we do not propose to dismantle Cogan Hall to provide parts for 6880 or any other projects. The longer term desire is to restore Cogan Hall in its own right. This will be subject to separate fund raising. There has already been significant interest expressed by several of Betton Granges supporters in restoring 5952 by once 6880 is completed. We must record our thanks to the Board of the Llangollen Railway for their agreement in allowing Cogan Hall to be moved to the railway. It is expected that 5952 will be moved to the Llangollen Railway before the Spring Gala 23rd to 25th April. With regard to 6880 significant progress is being by Dave Owen’s team in completing the riveting of the dragbox and progressing with the horn guides. In addition the patterns for spring hanger brackets have been made and the brackets cast. The curved foot framing which will be fitted below the cab has been manufactured. The Society is indebted to Pete Simpson from the Severn Valley Railway, for producing drawings for the new extension frames. Costs are currently being obtained for their manufacture. It is anticipated that an order will be placed for the extension frames before the summer.